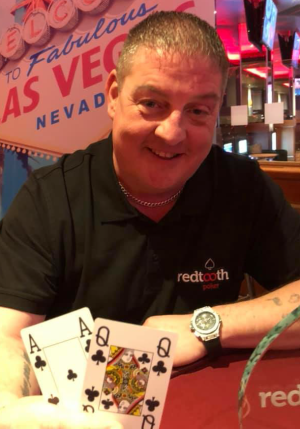 It’s UK National Final time again in the North and South as qualifiers from around the country descended onto the Grosvenor Casino in either Manchester or Luton. 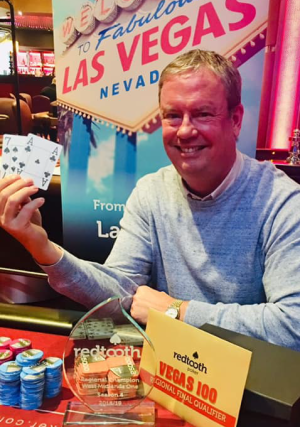 FIVE golden tickets were awarded at each final with a guaranteed cash prize-pool of £1,500 paid from 6th-12th place. 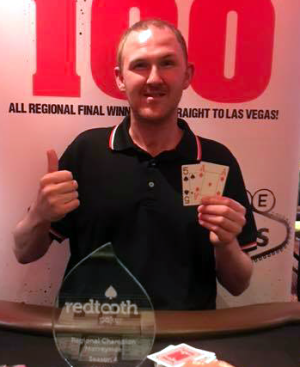 After around 9 hours of play in Manchester we had our final 5 VEGAS100 qualifiers from the North UK National Final. 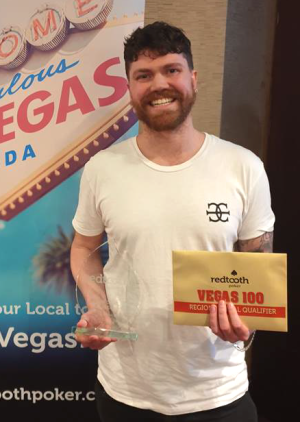 Lewis Saltariche earned his 2nd VEGAS100 golden ticket and Anthony Wood, who won his national final ticket via Final Chance Friday, John Butterell, Simon Baker & Josh Milne took the other tickets. 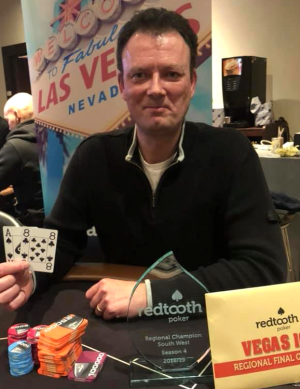 Congratulations to Philip Sheridan who won the Champions Mini League North final in Manchester. After the acquisition of the Champions Poker League we agreed to run this mini league final for their league results in January. 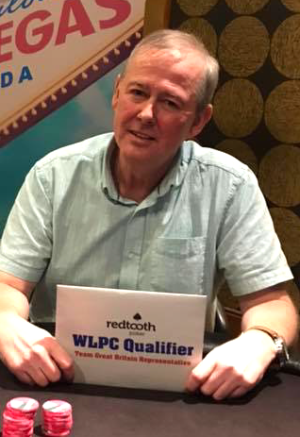 The top prize on the day was a seat into the World League Poker Championships in Las Vegas. Congratulations Philip and good luck in Vegas. 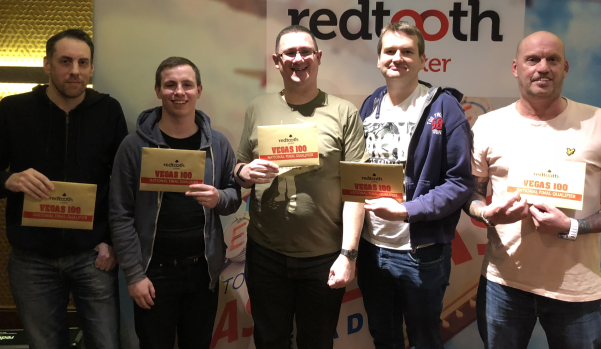 The final leg of the 2018/19 Redtooth Poker Tour visited Plymouth and we had another sell out leg on our hands. 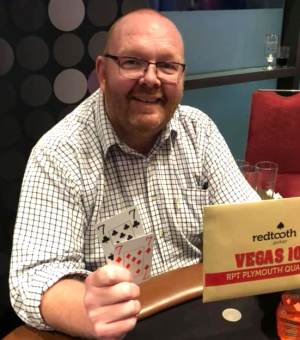 The event was won by local lad Chris Bray who plays Redtooth Poker at the Railway Club in Redruth. 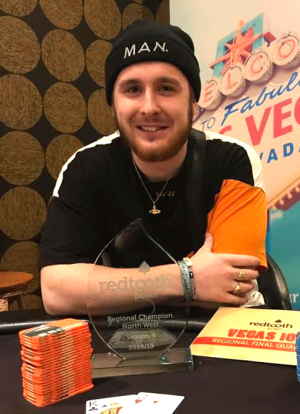 Chris defeated London’s John Murphy heads-up to claim one of the final VEGAS100 seats for the 2019 trip. The RPT Leaderboard came to a conclusion also, congratulations goes to Scott Swain for topping it by 80 points. 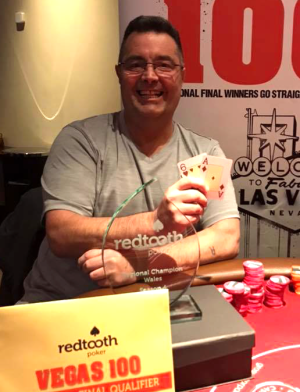 Scott played 5 events and final tabled on 4 occasions so the win is very much deserved. Scott now has a VEGAS100 guest ticket to go with his golden ticket.